This gorgeous, historic, 3-story cottage on tony Albert Meadow, has been lovingly restored by the new owners and is now ready for weekly rentals. The architecture, inside and out, is very unique, and make this a delightful abode for your family vacation! 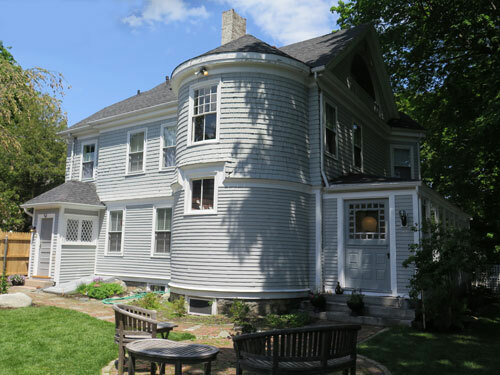 The turret, wrap around enclosed porch, curved windows, tin ceilings and alcove windows are beautiful featires of this in-town house. 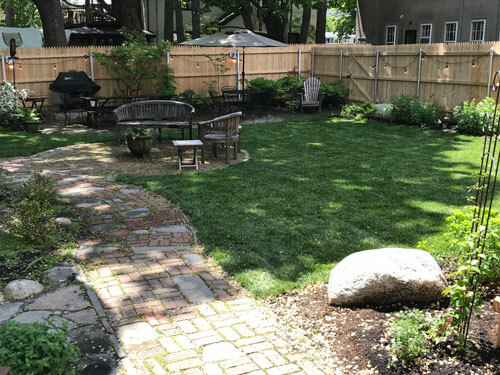 The (mostly) fenced-in yard provides lovely outdoor space, with nice seating, BBQ grill and outdoor dining. And the proximity to everything in downtown Bar Harbor couldn't be better! Just a few hundred feet from the Village Green and Main Street, you can walk to all the shops, restaurants, harbor, Shore Path (and Grant Park, located at the end of Albert Meadow), as well as the depot for the free bus that travels all around Mount Desert Island. The first floor of the 3000 sq.ft. cottage features a newly renovated kitchen with granite countertops, bathroom with shower, cozy liviing room with decorative fireplace, formal dining room, sittng area in the foyer by the main stair case. 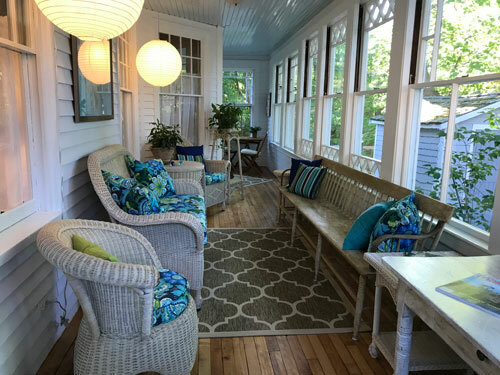 There are also lovely covered porches, which provide ample space for reading, puzzle building and morning coffee (complete with Keurig machine!). The second floor features three bedrooms: a spacious master king bedroom, a bedroom with a queen bed and a twin bed, and a bedroom with 2 twins. There is also a bathroom with shower on this floor. The third floor features, as you walk up the stairs, an "open bedroom" with a queen bed and twin bed. The beautiful restored floors and walls make for a lovely space! Another queen bedroom is also on this floor, as well as a bathroom with claw foot bath tub (no shower). 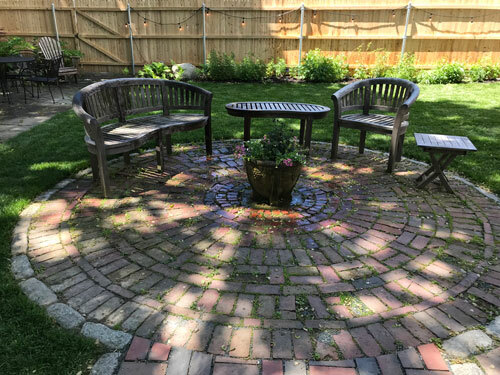 Amenities include cable TV (in living room), WIFI, dishwasher, A/C in bedrooms, washer/dryer, gas BBQ, linens, parking for 2-3 cars, microwave, coffeemaker, and outdoor furnishings on the porch and yard. There is parking for up to 3 cars. Click here for more complete list of household items/amenities. More pictures coming in the spring!